We’d love your help. Let us know what’s wrong with this preview of A Hammock Beneath the Mangoes by Thomas Colchie. To ask other readers questions about A Hammock Beneath the Mangoes, please sign up. I love these collections of stories.... some are ok, some are those that you remember for a lifetime. Great introduction to several authors I had not known before. If you want to experience a sampling of some of the greatest Latin American authors out there, then you'll want to read this book. "The Frog's Mouth," though not the best story, is the one that I remember still after reading it almost 15 years ago. The book was an assigned reading from a Christian University that I attended, but the book proved to be a worthwile and entertaining read. What a treat! If you want to experience Latin American culture, then this book is for you. I bought it because it was required for a Latin American Literature I was taking, ended up LOVING it!! "The Circular Ruins" by Jorge Luís Burgos, "Toads Mouth" by Isabel Allende and "The Gift" by Rosario Ferré are just some that stick out in my mind. Wonderful, wonderful book! Well, this collection isn't 100% good. 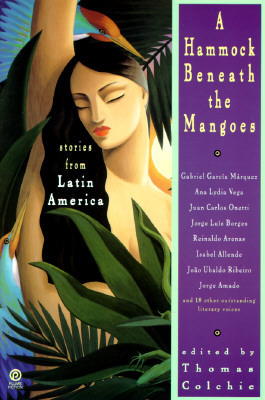 I'm only half way through and have only really enjoyed 4 of the short stories of this collection (including Jorge Amado, Julio Cotrázar, Murilo Rubião, and Isabel Allende). Most of the translations or pieces of writing themselves are old and stuffy. The few gems in this collection did hold me over though. A terrific collection of Latin American fiction. Introduced me to a number of exceptionally talented authors I'd never heard of and treated me to some stories from a number of ol' reliables. The Garcia-Marquez story--very brief--is breathtaking. I like the way the short stories are organized geographically and are preceeded by the authors biographies. Lush. Some of the very best of Latin American modern short stories.